← Day 3- Dear Insomnia, I Hate You! Insomnia struck again. I woke up yesterday after a very fitful 5 hours of “sleep.” I had a busy day of back-to-back events, so I knew that I had to do my walk shortly after getting up. It was hard to get motivated, but I managed. 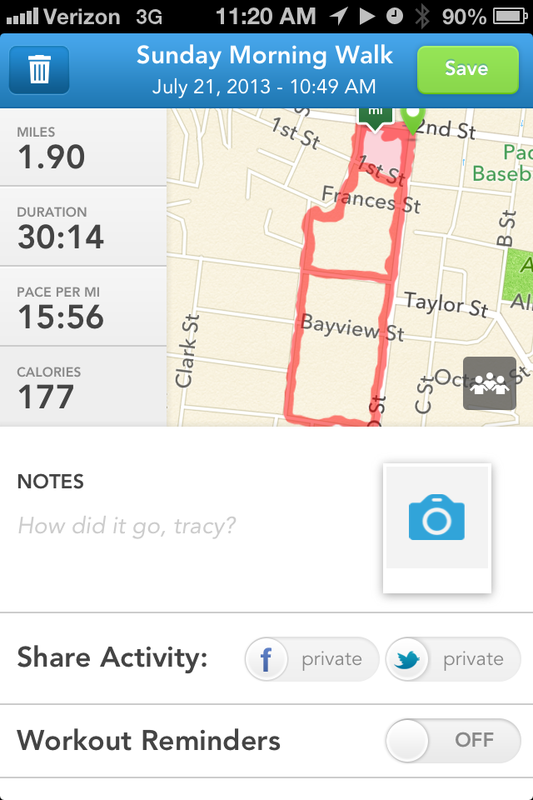 Good thing too- I shaved almost 3 minutes off my minutes per mile, getting it down under 16 minutes. I ate out for both lunch and dinner, so I probably ate more than I should, but it was worth it!